SculptureX is a teaching and networking resource and promotional platform formed to catalyze collaborations among teaching arts institutions in western Pennsylvania, Ohio, Michigan, Indiana, Kentucky, West Virginia, and western New York and to publicize their sculpture departments. The Sculpture Center serves as the nexus for SculptureX. As a teaching and networking resource, SculptureX aims to promote collaboration among art teaching institutions of our region and to increase the regional and national appreciation of our visual arts programs of sculpture in its broadest meaning: all three-dimensional forms, mixed media, installation, expanded media, relational aesthetics, and performance. SculptureX fosters the intellectual pursuit of compassionate thinking, discovering new forms and definitions of visual communication and understanding. SculptureX (i.e. sculpture exchange) was founded in 2010 by faculty and administrators at two regional institutions in Ohio: The Sculpture Center (Ann Albano) and Cleveland Institute of Art (Saul Ostrow, Charles Tucker, Lane Cooper) – and – at two institutions in Pennsylvania: Edinboro University of Pennsylvania (Lisa Austin, Dietrich Wegner) and the Erie Art Museum (John Vanco). 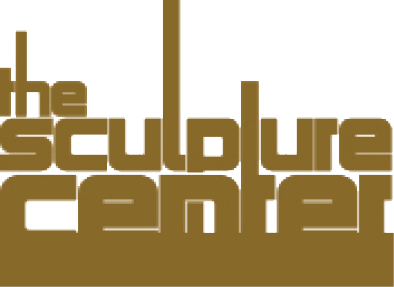 Today, Ann Albano and her staff at The Sculpture Center manage SculptureX with assistance from both founding and participating institutions. SculptureX will eventually showcase the work of all artists of our region who are affiliated with higher education institutions – and – who provide images of their work. Eventually – the SculptureX website will have a page listing all sculpture related exhibitions in our region, along with links to the various arts institutions. Currently, the 75 artists featured on the website are those who submitted work to be considered for the first SculptureX exhibition, SculptureX: 6 Sculptors of Ohio and Western Pennsylvania, curated by David Carrier and shown simultaneously at both The Sculpture Center and the Erie Art Museum (2010). In addition to the joint exhibition in 2010, SculptureX events have included several visiting artist exchanges in in 2009 and 2010, three exhibitions in 2011 at The Sculpture Center, the Erie Art Museum, and Edinboro University and another in 2012 at Dickinson College. Most successful have been the SculptureX symposia, a much-anticipated annual event that moves around our region as it is hosted by different teaching institutions. If you are interested in hosting a SculptureX Symposium contact Ann Albano. discuss recent artwork and future direction.